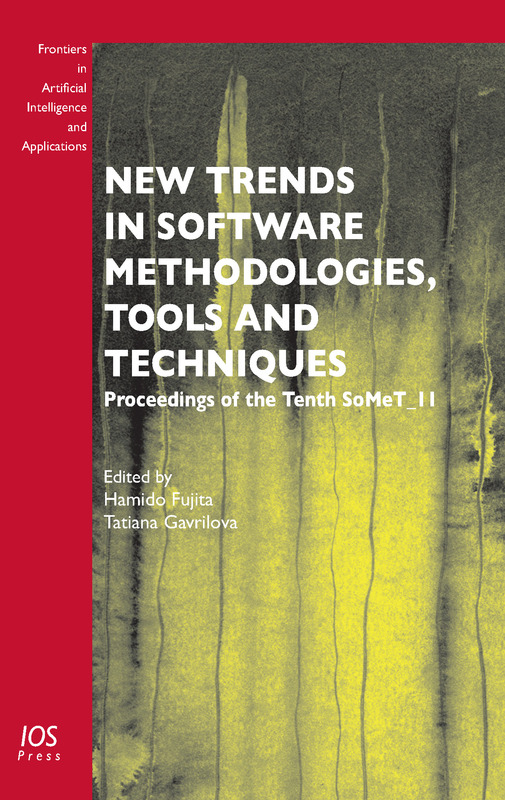 This book contains extensively reviewed papers from the tenth International Conference on New Trends in software Methodology, Tools and Techniques (SoMeT_11), held in St Petersburg, Russia, in September 2011. The conference provides an opportunity for scholars from the international research community to discuss and share research experiences of new software methodologies and techniques, and the contributions presented here address issues ranging from research practices and techniques and methodologies to proposing and reporting solutions for global world business. The emphasis has been on human-centric software methodologies, end-user development techniques and emotional reasoning, for an optimally harmonized performance between the design tool and the user. Topics covered include the handling of cognitive issues in software development to adapt it to the user's mental state and intelligent software design in software utilizing new aspects on conceptual ontology and semantics reflected on knowledge base system models. Edited by: Fujita, H., Gavrilova, T.